Tradition says each grape in this fizzy sangria represents one month of the calendar and is eaten to celebrate the coming of a sweet year. Cava is a sparkling Spanish wine. You can substitute with Prosecco or Champagne in this recipe. Combine Cava and juice in a pitcher; add fruit and stir. Serve sangria chilled over ice. 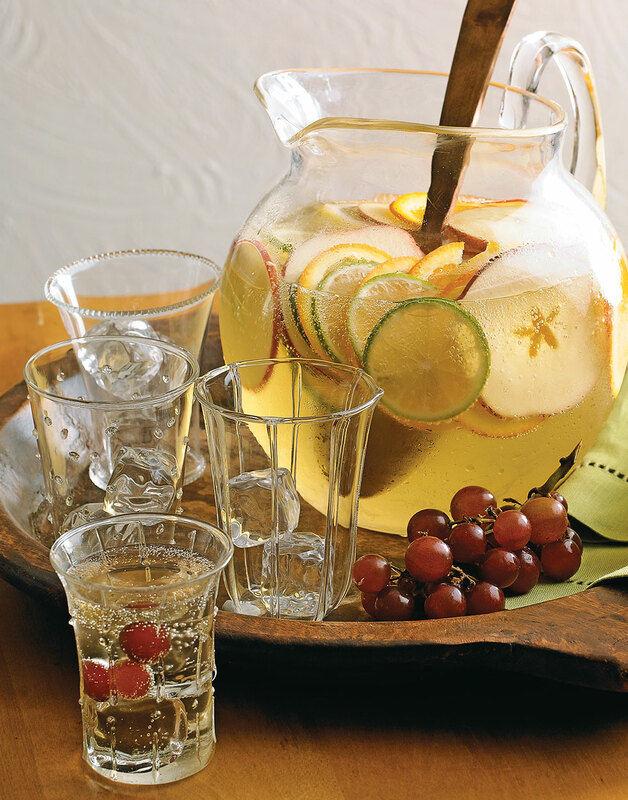 Make the sangria right before serving, so the Cava stays bubbly and the fruit remains fresh.